Organizer: The Deutscher Klöppelverband e.V. Information: Flyer. See http://tinyurl.com/jsbx3ze for a complete list of events. The Klöppelspitzen Kongress has been a fixture for years. 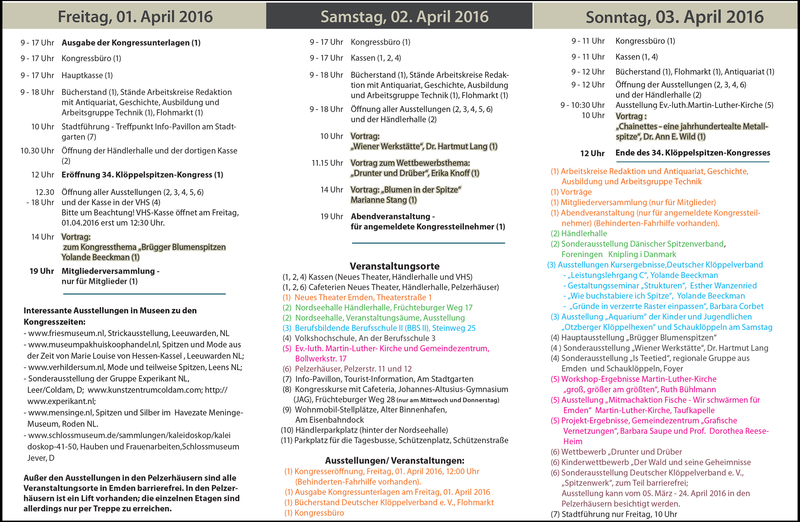 More information is available in the magazine Die Spitze. There will be classes, lectures, exhibitions, and more than 70 dealers from all over Europe. Events will be held in several places around the city.